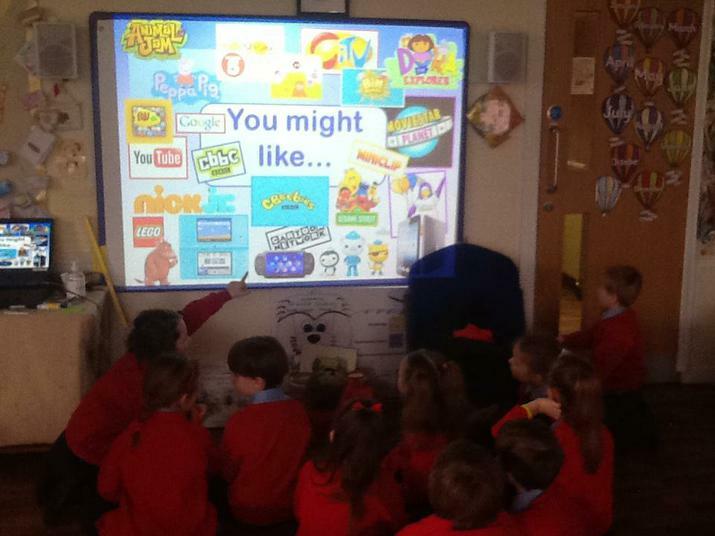 Today we learned the importance of staying safe when we are using the Internet. Smartie the Penguin helped us the understand how we should ask an adult to help us if something goes wrong with an electronic device. 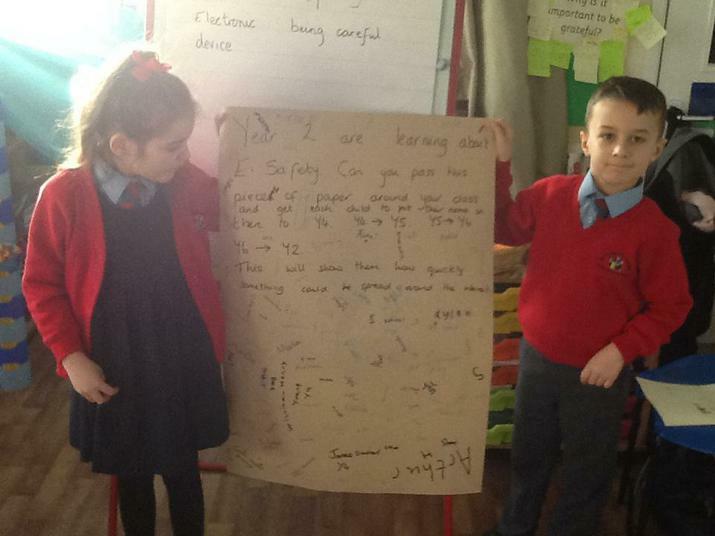 We also sent a message around the KS2 classes to see how quickly a message could be spread around the internet. 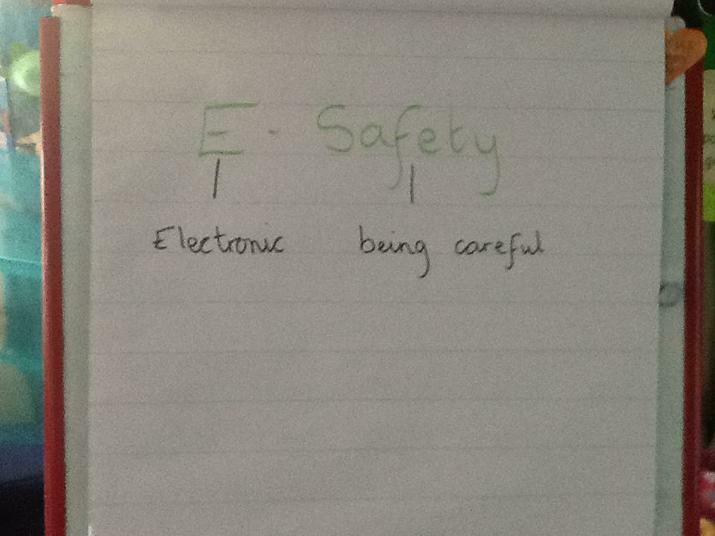 The posters we made showed how it is important to stay safe when using electronic devices.